KUNSTFORUM International 230 (2014), p 127. A short while after my last portrait session with Marianne Vlaschits, KUNSTFORUM International did an interview with her and two fellow artists and she asked if it was ok to use one of my portraits to go with the interview. 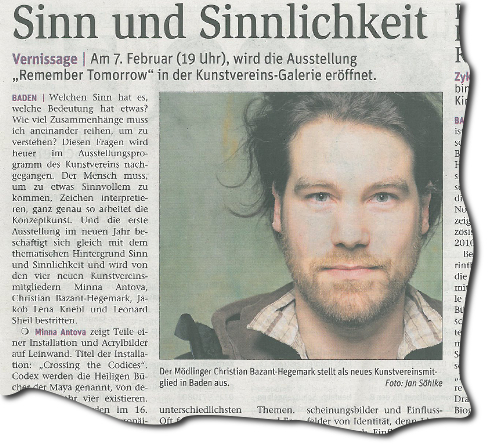 Several weeks ago I learned that Austrian newspaper Niederösterreichische Nachrichten without permission had printed a portrait I took of painter Christian Bazant-Hegemark – my first real copyright infringement case.